Love the ubiquity of the Internet, but hate its hit-and-miss quality? Love e-books, but miss holding the real thing in your hands? Love reading printed books, but yearn for the instant gratification of internet searches? 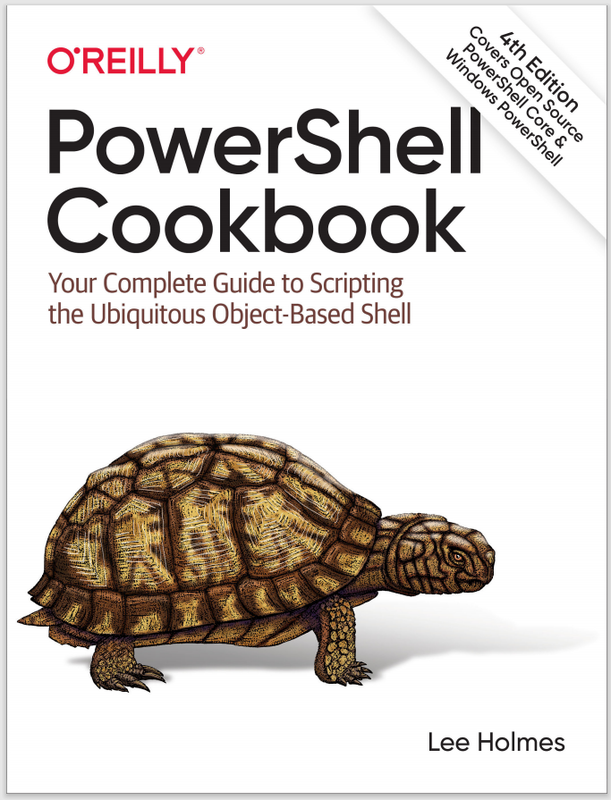 If you are an owner of either the electronic or printed versions of the PowerShell Cookbook, this online edition provides free, online, searchable access to every recipe. The Windows PowerShell Cookbook is available at Amazon, O'Reilly, or any of your other favourite book retailers. If you want to see what the PowerShell Cookbook has to offer, enjoy this free 90 page e-book sample: "The Windows PowerShell Interactive Shell".